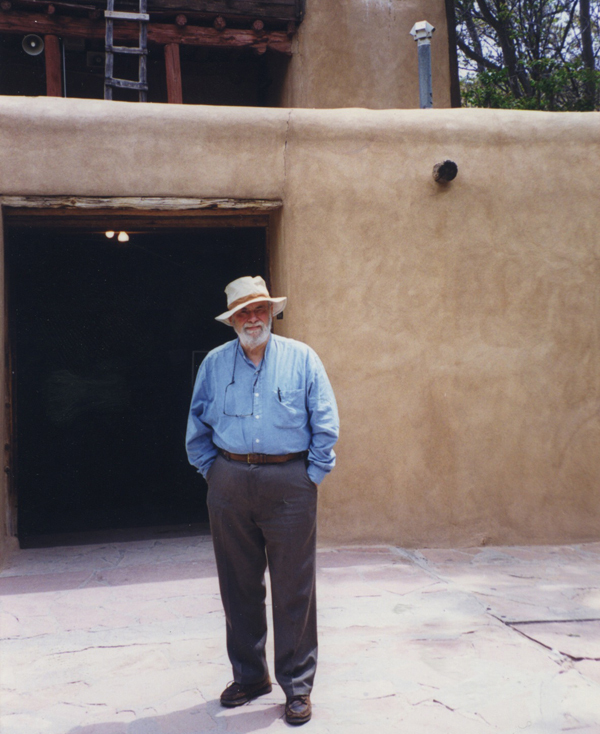 Arthur Danto in New Mexico in June 1999. AFTER READING Arthur’s “The Transfiguration of the Commonplace” (1974) on the recommendation of the poet, Ann Lauterbach, I went to a talk he gave in 1984 in the library of the New York Studio School on West Eighth Street. That night, hearing his thesis about “the end of art” for the first time, I initially mistook it for an extension of the death of painting arguments I had heard in my years in New York. I thought that I was again being told that what I wanted to do as a painter was impossible because of art history. I remember so clearly the wonderful moment when I realized that instead, this time, Arthur’s argument gave me freedom. He was focused on the human interaction with art. I could do what I wanted. When looking at art with someone else, the way the work appears and what it means actually changes. It’s as if one sees the art through someone else’s eyes and mind as well as one’s own. This is why it is so much fun to go with a friend to see an exhibition or visit a museum. Arthur was my favorite companion on such trips. He was fearless. Arthur followed his thinking wherever it led. And while looking at art with him, I was drawn along into this brave territory. One of our last trips together to view art was on a Monday in 2006 at the Metropolitan Museum, and was arranged by Faith Pleasanton, a friend who works there. We went to see the exhibition of the great French Romantic painter Anne-Louis Girodet. Arthur had written about a painting of Girodet’s, The Sleep of Endymion, 1791, in relation to my work, and we ended up talking about the strangeness of the light in Girodet’s paintings in relation to the light in my “bedroom paintings.” Speaking, as we often did, of various possibilities of “expanded painting,” I told Arthur about a special series of gates by Christo and Jeanne-Claude, which the previous year had run through Central Park to a locked door at the back of the Met. And we must have spoken of Warhol, because we always spoke about Andy. As I prepared to write these paragraphs, reading over old emails to and from Arthur and notes from his talks and panels, I could barely stand to go on. It really hit me how much I have lost now that our dialogue is over. We have his writing and our memories. But there are a lot of exhibitions that I would like to see together with Arthur this weekend. David Reed is an artist based in New York.